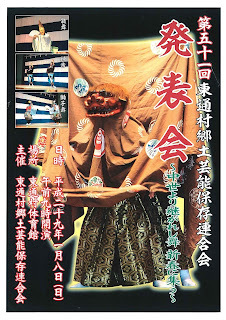 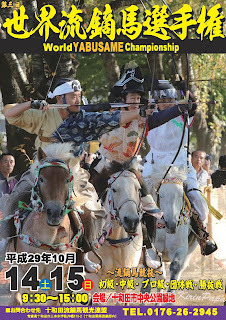 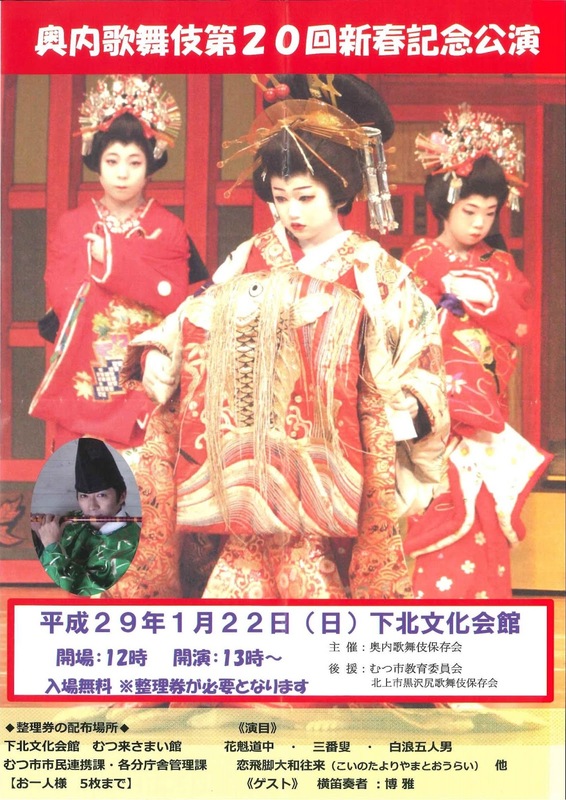 Enjoy performances of local traditional performing arts such as Gongenmai and Kagura (sacred shrine music & dance). 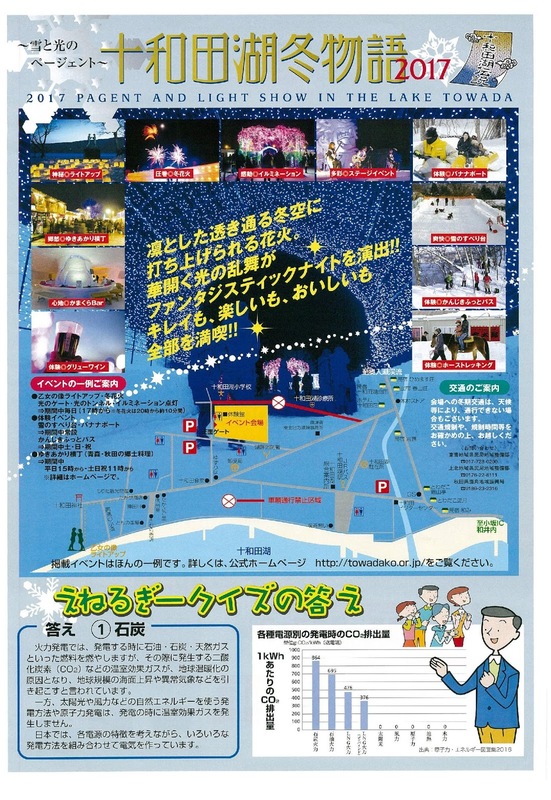 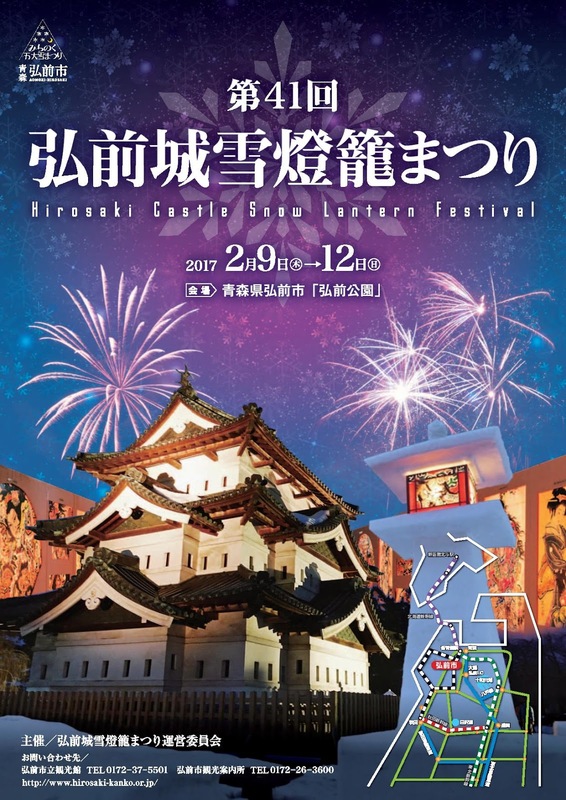 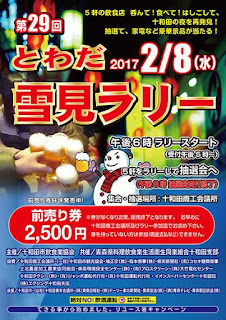 Enjoy various snow lanterns, snow sculptures, and other events in Hirosaki Park. 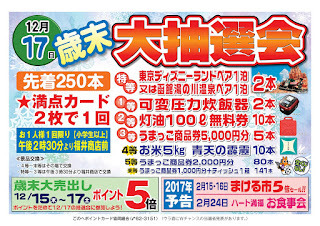 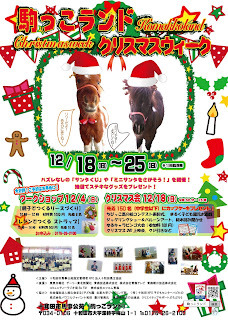 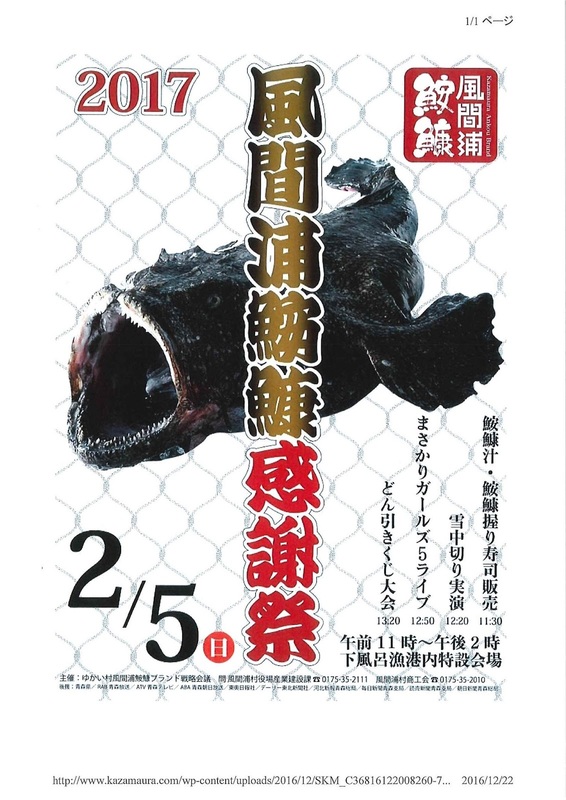 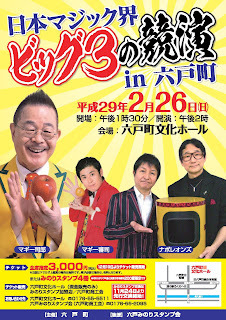 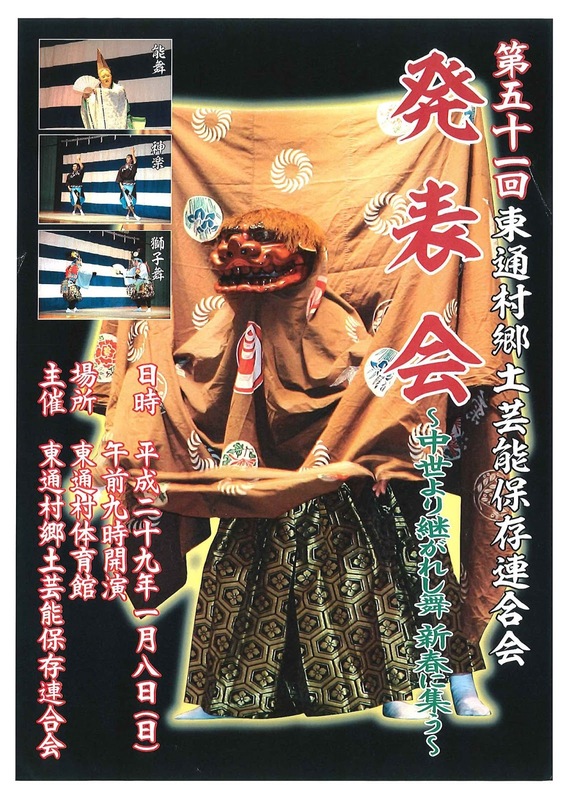 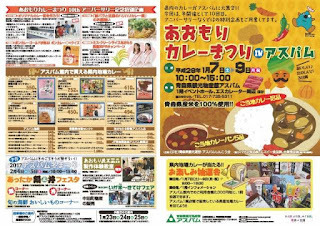 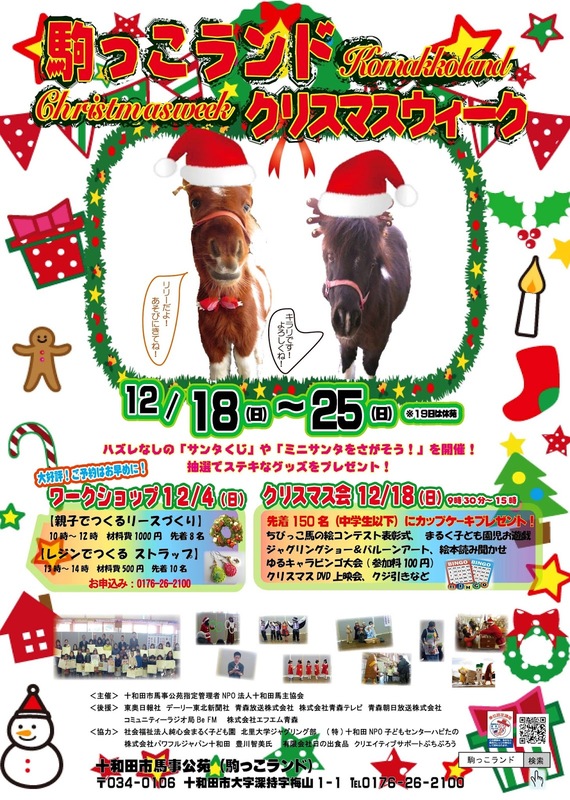 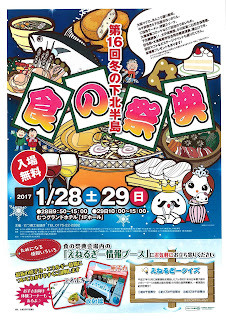 Watch various performances while enjoying delicious Shimokita foods! 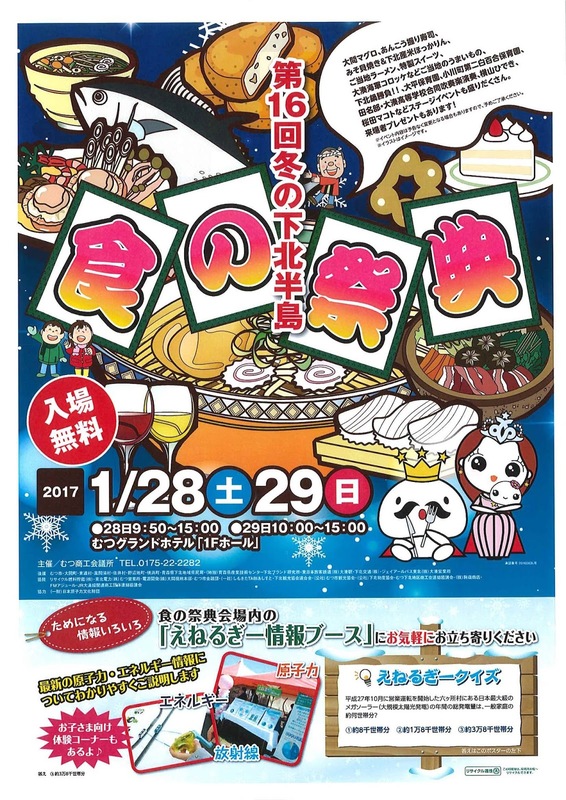 Try Kazamaura's monkfish in sushi and/or nabe stew, watch monkfish butchering demonstrations, and more! 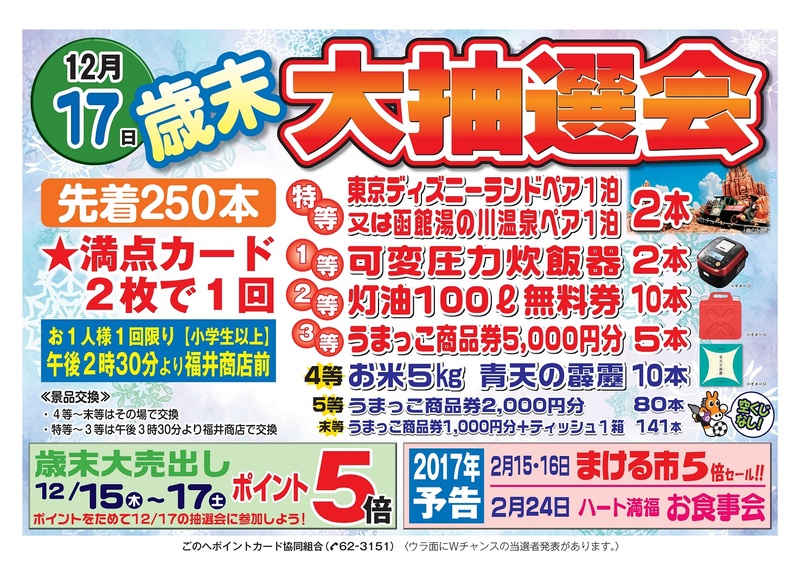 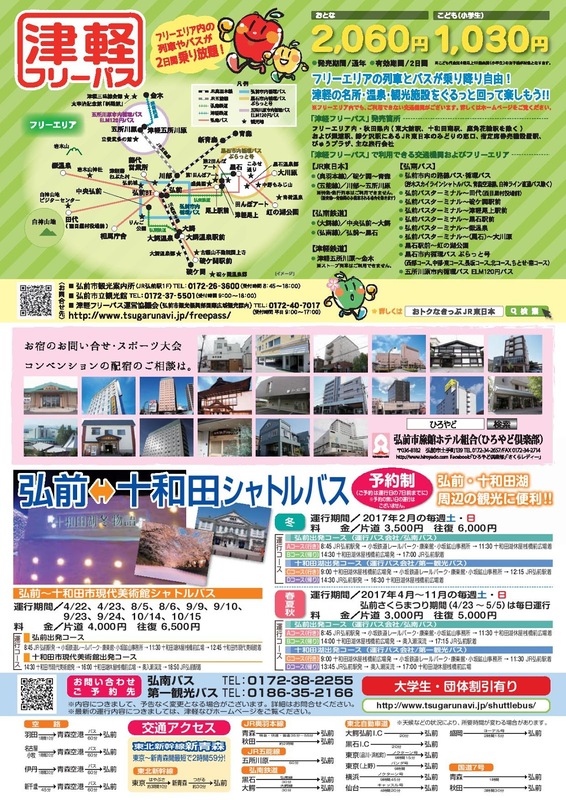 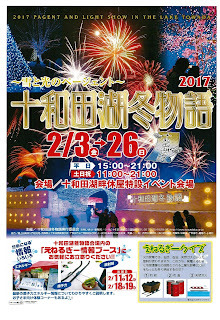 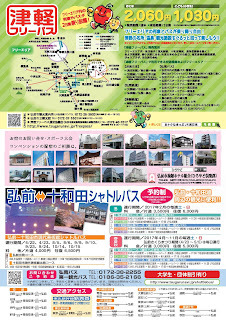 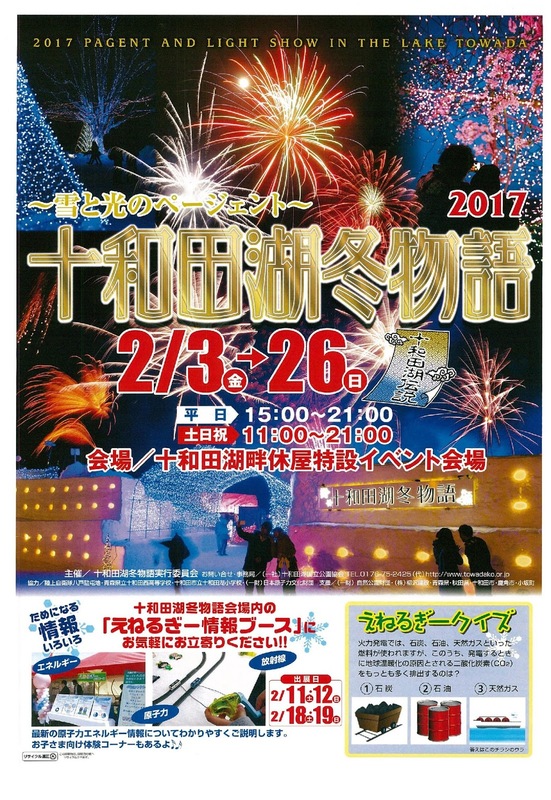 Month-long winter festival at Lake Towada featuring daily fireworks, illuminations, performances, and more! 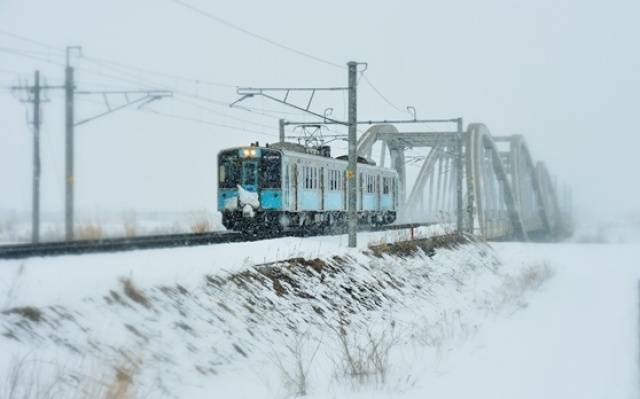 Enjoy a wintertime rail trip with live performances, local sake, and drinking snacks. 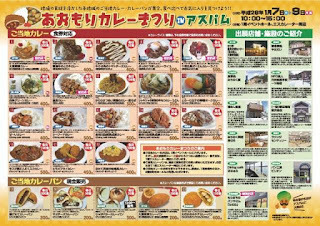 Try various local curries from around Aomori Prefecture! 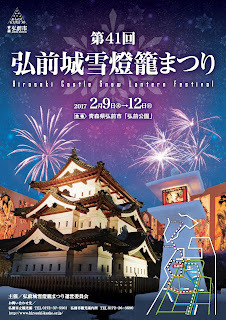 Enjoy performances of local & traditional performing arts such as Noh, kagura Shinto music & dancing, shishimai lion dance, and more! 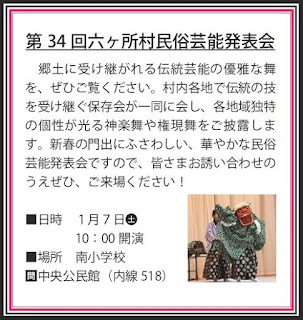 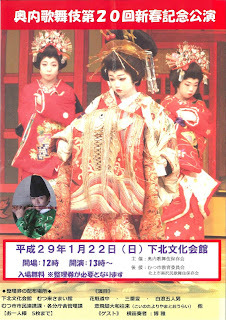 Enjoy kabuki, classical Japanese dance-drama, to start of the new year! 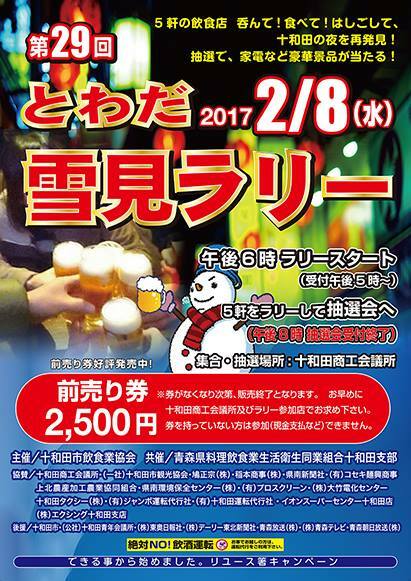 Enjoy a drink and collect stamps at 5 different bars to be eligible for a prize draw. 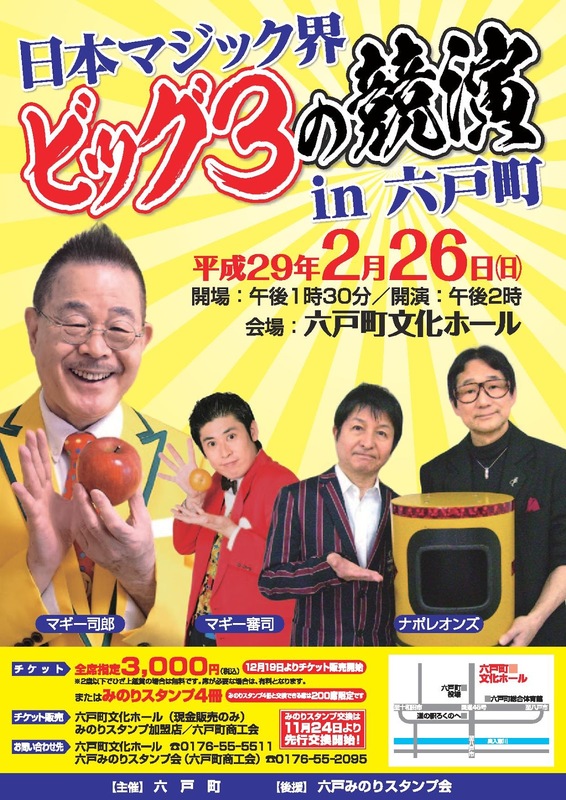 A magic performance contest featuring Maggy Shiro, Maggy Shinji, and the Napoleons. 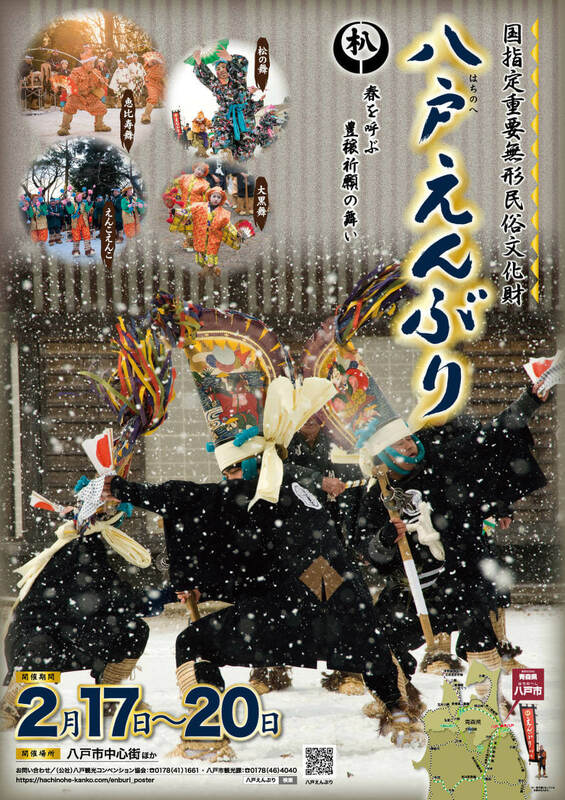 Hachinohe Enburi is a local traditional festival for ushering in the spring and praying for a good harvest for the upcoming year. 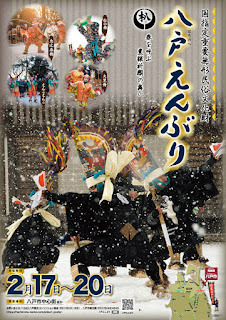 Groups of dancers and musicians parade through the city, many wearing tall eboshi hats symbolically designed to resemble the shape of a horse's neck since horse's were vital for farm work. 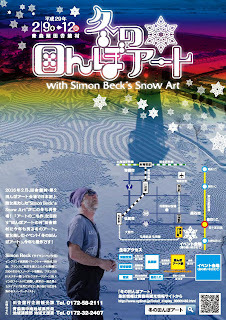 Snow artist Simon Beck creates geometrical artworks by walking across/around fields of snow in snow shoes. 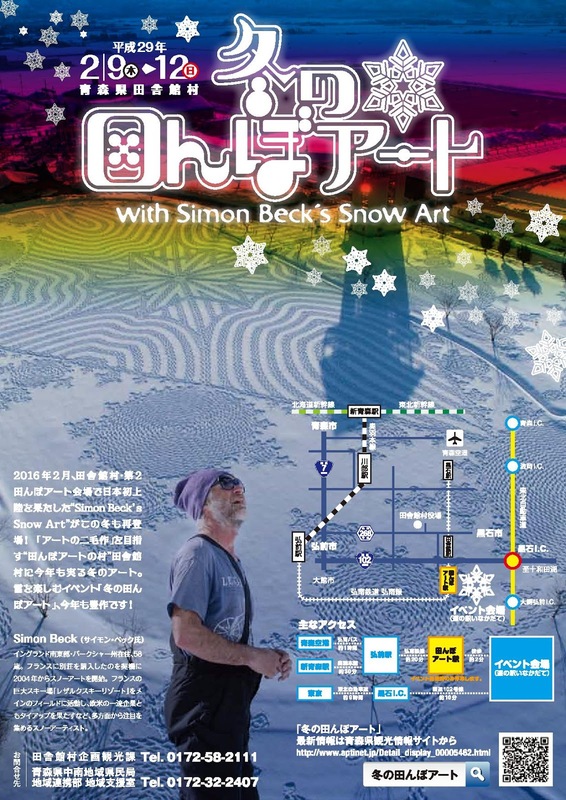 He has traveled all over the world creating snow art works. Last year (2016) he created his first piece in Japan right in Aomori Prefecture in Inakadate, the home of rice field art! 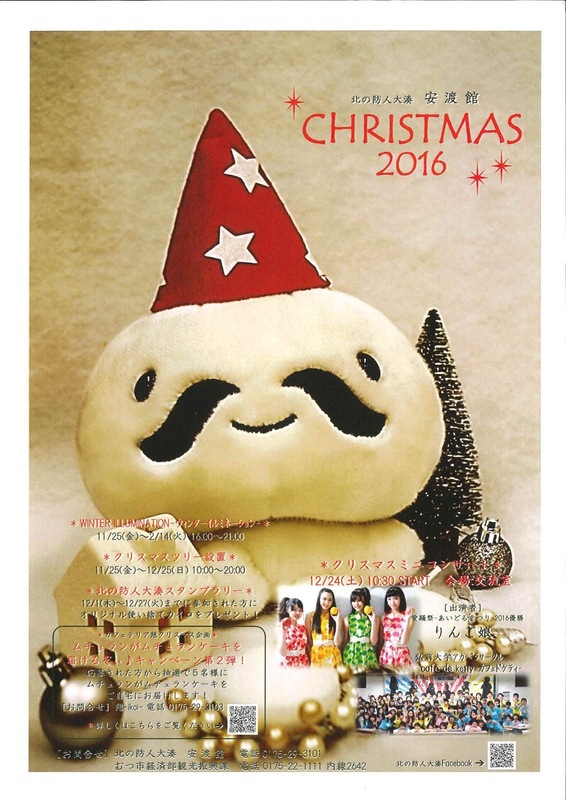 This year, he will be creating an artwork in collaboration with local volunteers. 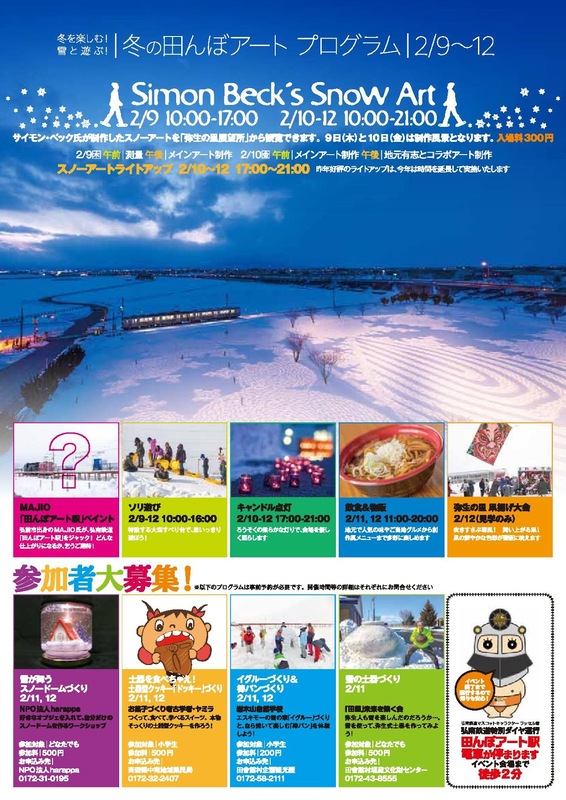 Illuminations, Christmas concert, and more! 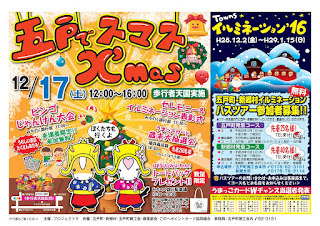 Various Christmas activities and events the whole family can enjoy! "Santa Lottery" - Every ticket is a winner! 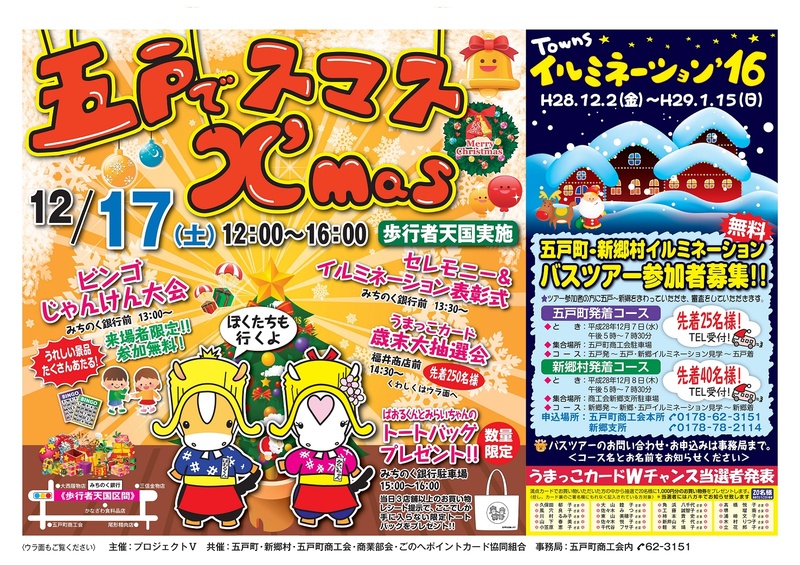 Christmas event featuring various prize/gift chances! 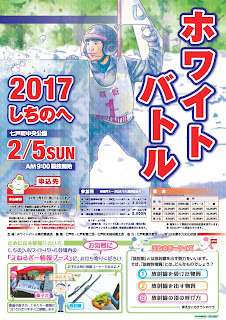 A competitive capture-the-flag-style snowball fight!